TSB has had another problem with their computer system causing customers to be ‘locked out’ of their online accounts. The last time this produced a large number of scams aimed at TSB customers offering to gain compensation for them. The problem also allowed fraudsters to gain access to some customers’ account details. Please be aware of scammers if you are a TSB customer and look for unauthorised activity on your account. If you do feel you have been the victim of fraud contact TSB direct or ring the police on 101. Please read the police advice below and have a look at the telephone scam page for more scam warnings. Particular warning for anyone banking online with TSB. Customers will be aware that problems with a new computer system is giving scammers opportunities to access your account directly or persuade you to divulge personal details which allow them access. Here is an email from Action Fraud giving warnings and advice. There has been a sharp rise in fraudsters sending out fake text messages (smishing) and phishing emails claiming to be from TSB. The increase in the number of reports corresponds with the timing of TSB’s computer system update, which resulted in 1.9 million users being locked out of their accounts. Opportunistic fraudsters are using TSB’s system issue to target people with this type of fraud. Since the start of May there have been 321 phishing reports of TSB phishing made to Action Fraud. This is an increase of 970% on the previous month. In the same reporting period, there have been 51 reports of cybercrime to Action Fraud which mention TSB – an increase of 112% on the previous month. Fraudsters are commonly using text messages as a way to defraud unsuspecting victims out of money. Known as smishing, this involves the victim receiving a text message purporting to be from TSB. The message requests that the recipient clicks onto a website link that leads to a phishing website designed to steal online banking details. Although text messages are currently the most common delivery method, similar communications have been reported with fraudsters using email and telephone to defraud individuals. In several cases, people have lost vast sums of money, with one victim losing £3,890 after initially receiving a text message claiming to be from TSB. Fraudsters used specialist software which changed the sender ID on the message so that it looked like it was from TSB. This added the spoofed text to an existing TSB message thread on the victim’s phone. The victim clicked on the link within the text message and entered their personal information. Armed with this information, the fraudsters then called the victim back and persuaded them to hand over their banking authentication code from their mobile phone. The fraudsters then moved all of the victim’s savings to a current account and paid a suspicious company. Every Report Matters. If you have been a victim of fraud or cyber crime, report it to us online or by calling 0300 123 2040. Visit Take Five and Cyber Aware for more information about how to protect yourself online. Yet more scams to warn you about and some general guidance to protect yourselves against falling victim to these very believable scams. Think very hard before you give out ANY personal details, even your address, either over the phone or to people you don’t know, at events or to people who call at the door. Scammers use the details you give them to find out more about you and very often even your address, postcode and some personal details will allow them to discover enough information to ‘by-pass’ security questions on your accounts etc. Remember companies like banks etc will not ask you to give personal information or instruct you to pay or transfer money out of your account. 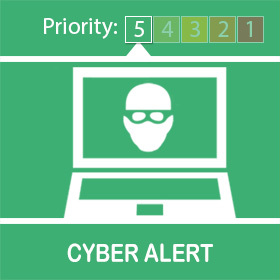 Over the past few weeks we have seen scammers pretending to be HMRC (Revenue and Customs) and demanding payment of debts pending prosecution or imprisonment. At this time lots of you will be planning holidays and some will be booking your own accommodation and air tickets. There have been companies set up offering cut price air tickets which never materialise. Scammers have been contacting teachers in charge of school budgets, pretending to be the headteacher, and instructing them to make payments into false bank accounts. A warning regarding this scam has been passed on to our local school. There have been offers of a generous rebate of £200 from Sky TV even though you may have never had Sky! All they want is details of your bank account!! Remember to keep the NHW and ‘No Cold Callers’ stickers on your doors or windows and please keep an eye on your neighbours property, particularly if you know they are vulnerable. Please do not be frightened by ‘bullying’ tactics, put down the phone, call 101 and report what has been said to the police. They will advise you what to do next. Please see contact details for our new PCSO further down the page. Click here to read more advice from the police on home security. Thefts from vehicles are also on the increase, please keep items of value out of sight, put valuables in the boot when you park and make sure all doors are locked when you leave the vehicle unattended, even on your own drive. Hopefully you will have picked up the information, from the shop or village notice boards, of the PCSO for our area. We may not see as much of her because she is responsible for a large area but she has promised to be accessible via email or phone if anyone needs her help.